Beyond our work in web property and presence management, PMP Technology works on a variety of demonstration and venture projects as a means to progressing the business' insight into and around modern web application development and maintenance. Please reach out to learn more. 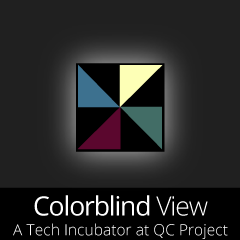 TIQC Colorblind View Colorblind View is a Tech Incubator at Queens College project that simulates the affects of all major conditions of colorblindness against still images in JPEG or PNG form. This is a way to get some insight into the vision impairment for those of us that are fortunate enough to see the full spectrum of color. The process includes research into methods of representing that affects of certain types of colorblindness and using mathematical formulas that map a standard RGB space image into some limited color space (with respect to RGB) that best represents a given condition. The project includes all documentation, process, website, and mobile applications. 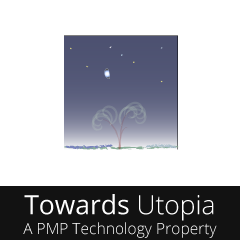 Towards Utopia Towards Utopia is an interactive storybook devoted to Western evolution. The most general theme of Towards Utopia will be the Old Testament’s Genesis. This general theme will be used as a foundation to describe the birth and progress of Western thought and its social affects. The story will traverse through human, in particular Western, evolution within twelve settings in history. These include, Eden, Babylon, The Nile River Valley, Crete, Athens, The Areas around the Tigris, Rhine, Rome, Danzig, Paris, Orange, and New York City. The objective of this project is to offer a rich storyline along with some deeper motivations as to the nature of relationships within Western evolution. It is said that with modern technology, the best author is one that codes. 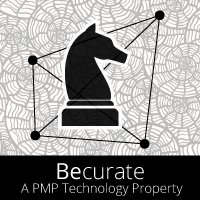 Becurate Becurate will be an online virtual showcase community powered by the Behance Network. Becurate will take a random sample of creative work from around the world via Behance and creates publications and virtual exhibitions to help the general public discover creatives. Due to the velocity of projects posting to Behance, much creative work is lost on the network. Becurate will offer a window into work that is noteworthy yet lost in the volume. Ahmagia Ahmagia will be a platform for women to take a leading role in solving today’s global issues. 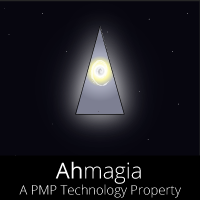 Under the premise that women are more essential to solving today’s issues than men, Ahmagia will focus on creating an environment in which women collaborate to solve social, political, ethnic, scientific, ..., problems. Men have authoritatively influenced evolution since our naissance. At present, we are trapped in a dark world and many if not all women have something to say based on their interpretation of why things are as they are and how they could be if men adapted to a set of rules defined solely by a female think tank. The true opportunity in asking women to rethink global affairs is that we are allowed to eliminate everything to date and start with a blank slate.